While women make up half of the workforce in America, they only make up 29 percent of the science and engineering workforce. Science, technology, engineering and mathematics, also known as STEM, are fields notorious for being male-dominated. 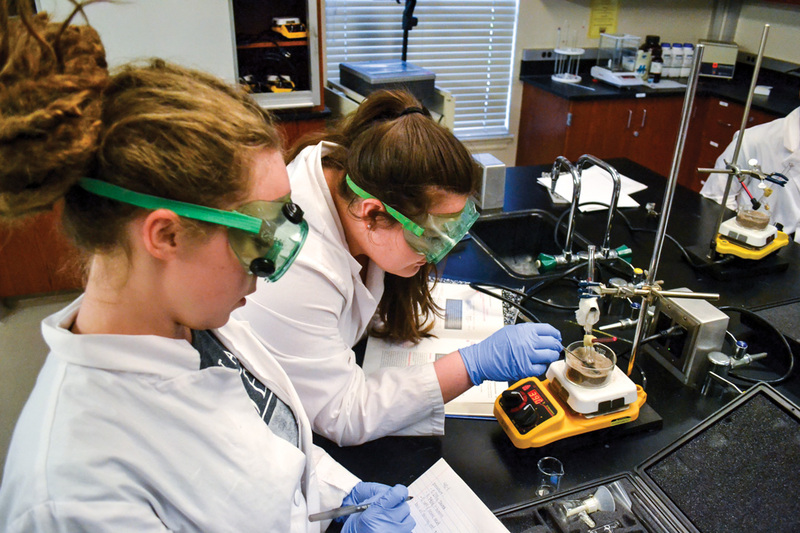 Despite the odds, the women in STEM programs at California Baptist University are incredibly passionate about what they study. Gallardo said she fell in love with mathematics and biology at a young age and had a hard time choosing between the two majors when she got to CBU. Gallardo said she is considering working on Mercy Ships, an organization that travels to countries where they do not have access to adequate medical care or resources. Anikka Reinertson, freshman mathematics and intercultural studies double major, said she has wanted to be a missionary since her seventh grade trip to Haiti and said she hopes to be involved in full-time ministry after graduation. While some women feel it is a disadvantage to be a woman in STEM fields, Reinertson said she believes the opposite. “Because so many women aren’t in STEM, everyone was so supportive that I have this talent. I was told to pursue it,” Reinertson said. Dr. Alexandra Shin, assistant professor of biology, was also fortunate enough to have professors and parents who encouraged her to pursue her passions. “The issue with being a female in STEM is feeling like you don’t belong. You ask yourself if you’re supposed to be there,” Shin said. Gallardo said she has not felt blatant discrimination but has observed certain patterns in how men were treated. “There have been instances where I have noticed that men who were good at math or science were given a little more attention,” Gallardo said. Most women in STEM feel as if it is their duty to pursue these fields and make sure women are represented in all areas of study. As more women are entering into these fields, younger women are more encouraged to enter into them as well. While this generation is encouraged to break gender norms and pursue individual passions, there is still a gap in the women represented in these fields. As women in STEM follow their passions, more women should use them as an example and do the same in STEM fields as well as other areas of interest. “Ultimately, if we want to see more women become passionate about STEM in the future, we need more women to step up and join STEM now,” Gallardo said.